On the band’s fifth studio album titled ‘Memorial’, post-rock outfit Russian Circles delve deep into the pleasing aesthetics of post-rock music, producing what is one of the band’s most delicately crafted albums in their current repertoire. On ‘Memorial’ we see Russian Circles offer up some of their most rewarding tracks in their career so far, with the individual songs ranging from the intensely charged instrumentals we’ve come to know of Russian Circles, to more reserved and delicate tracks that showcase some new creative ideas from Russian Circles. Individually, each track offers a great post-rock experience, but collectively, they all contribute brilliantly towards the whole album itself, presenting it as simply another strong post-rock album of 2013. On ‘Memorial’ we see Russian Circles broadening their scope as a post-rock band, presenting one of their strongest albums in their whole discography. Offering a much broader scope of sound on ‘Memorial’, Russian Circles have managed to showcase themselves as a band willing to try new things, or at least, new to themselves as a band. Musically, ‘Memorial’ comes across as nothing short of brilliant, with it featuring a brilliant range of dynamics and instrumental styles. There’s wonderful creative ideas present on the album, with there being a sense of an underlying essence running throughout the very core of the album itself. The range of loud crashing and almost metal moments contrast yet compliment the more delicate moments, all of which shapes the album brilliantly. Where Russian Circles has faults in ‘Memorial’ is in how a few tracks on the album seem to demonstrate ideas that aren’t as creative as some of of the album’s biggest highlights. Most of the best tracks on the album seem to either demonstrate delicate moments, or really loud moments. It seems the tracks on the album that feature the more pumped up, loud and noisy moments seem to all follow similar formats and ideas, and don’t differ that greatly in comparison to each other. 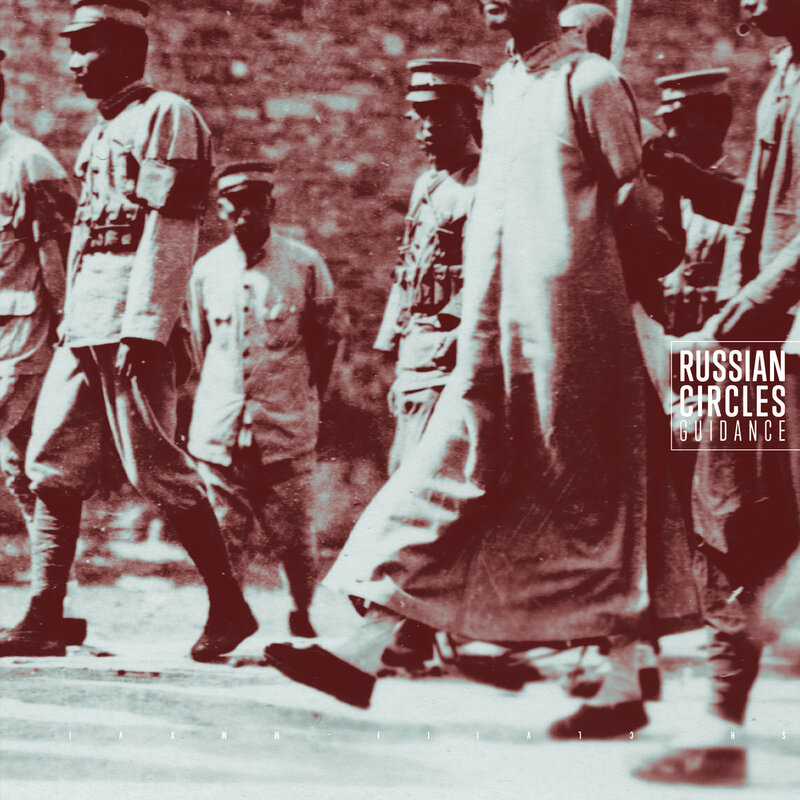 Considering the range demonstrated on the other songs present on the album, it feels that Russian Circles have managed to really push themselves, but have just ever so slightly missed the mark on one or two songs. Overall, ‘Memorial’ comes across as one of Russian Circles better crafted and more enjoyable albums so far. It seems to just feature every single element that makes up an enjoyable post-rock experience, as well as a few creative ideas and surprises to keep it fresh and vibrant. 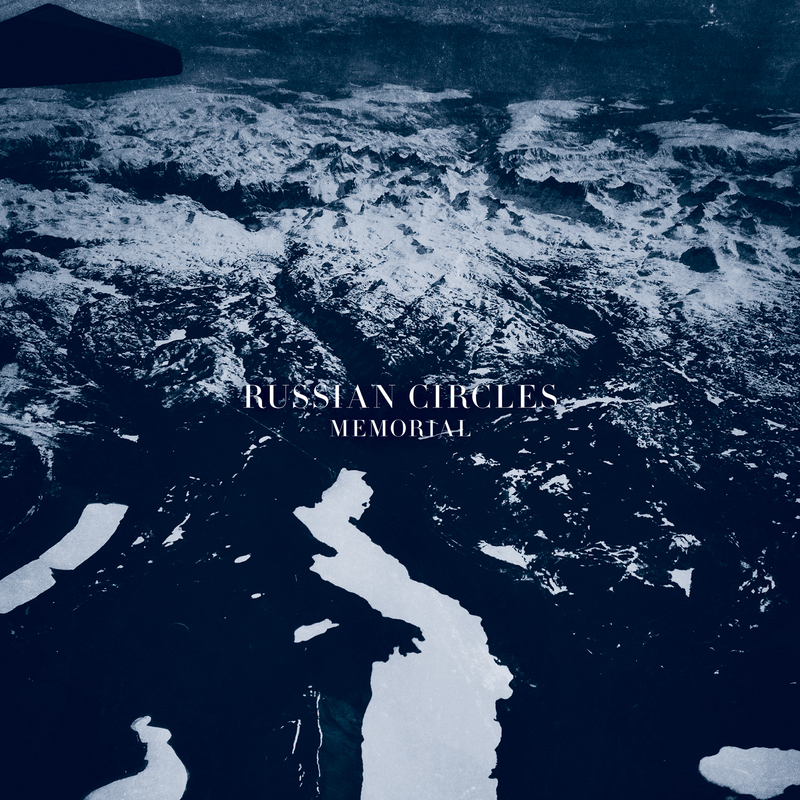 There’s a number of tracks present on ‘Memorial’ that can easily go alongside some of Russian Circles’ most favored songs, and can easily become fan favorites at live shows. It can easily be said that ‘Memorial’ can go alongside the many brilliant post-rock albums of 2013, which seems to certainly be a brilliant year for the genre, so far. Russian Circles’ upcoming album ‘Memorial’ is set for release on 29th October 2013.